Today we start school back up! 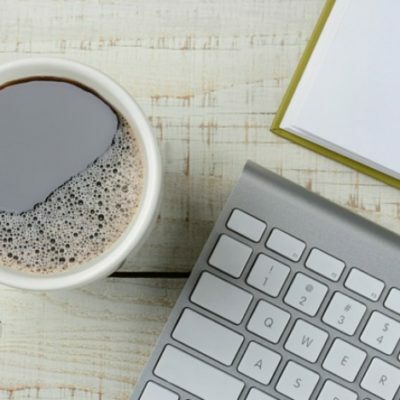 We homeschool year-round, so we start early in order to take extra weeks off during the year and be finished in May. It’s totally worth it. After all, it’s over 100-degrees here in the afternoon: might as well be doing school instead of playing Minecraft, I figure! So for this month, I’m trying out a new menu planning idea: I have the same weekly rotation of breakfasts and lunches – and I’ve noted in my calendar when to do the prep. Then on busy days, I’ve prepped the food the day before. I’m looking forward to see if it works; that is, if I actually remember to do the prep ahead when I have it planned out! Of course I’ve already simplified dinner planning quite a bit, but with 4 kids needing lessons plus a toddler, I need food to take as little brain power as possible. Recipes for dinners on Monday, Tuesday, Wednesday, & Thursday are found in my ebook, Simplified Dinners. 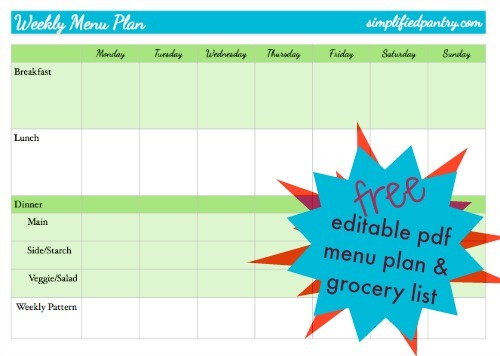 Streamline menu planning, grocery shopping, and dinner cooking with Simplified Dinners! Simplified Pantry promotes homestyle cooking with basic ingredients. It is possible to cook good food without a pantry full of specialized products. Limits can actually be freeing and promote creativity. Limits make keeping what you need on hand simpler and easier to achieve. Simplified Dinners takes the thinking out of the whole dinner cycle of planning, shopping, and cooking, and makes it easy for you to customize the healthy, whole-food recipes provided according to your family’s tastes.